Canada is one of the best places in the world to view the Northern Lights, or Aurora Borealis. The enchanting streaks of light in the sky occur when the sun’s electrically charged particles enter the Earth’s atmosphere. Here are 12 of the best places to see the Northern Lights in the Great White North. According to the city, Yellowknife is the best place in the world to view the Northern Lights. There’s a 90% chance you will see them in the less-populated Canadian territory because of the city’s clear nights, flat landscape, and position directly under the auroral oval. 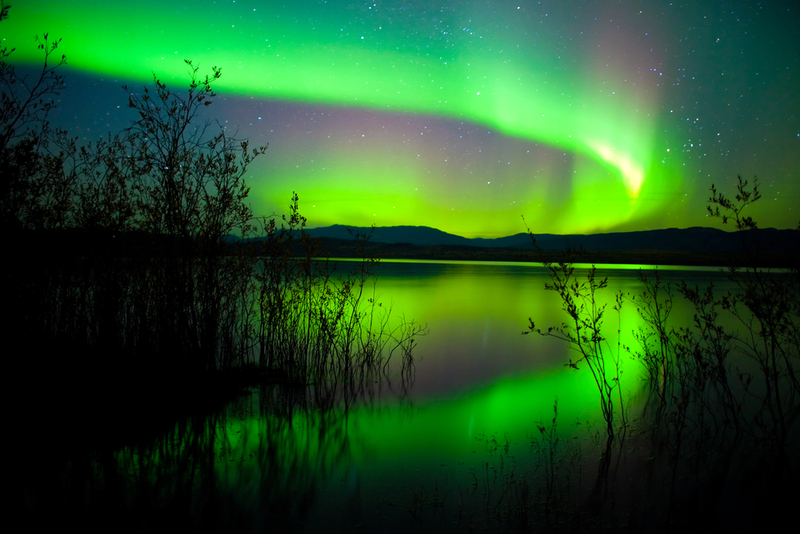 Visit Yellowknife from mid-November to April for the best viewing opportunity. 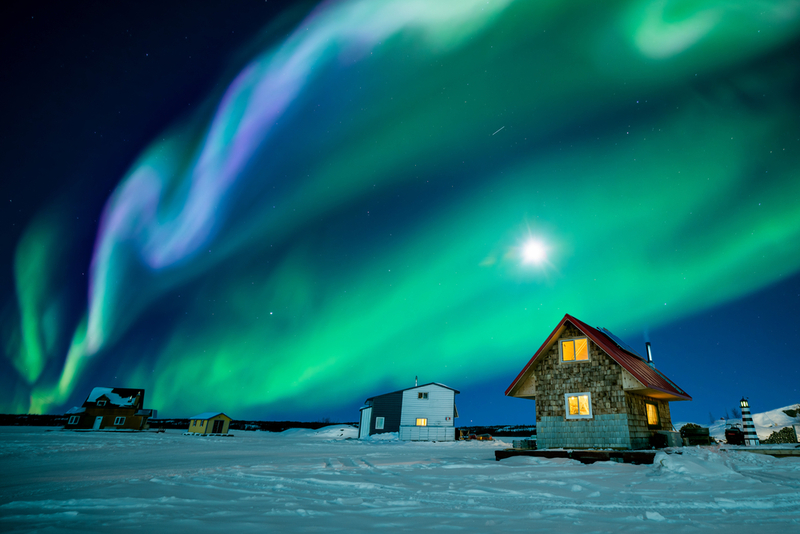 Great Slave Lake, just outside the city, is a popular viewing area, as is Aurora Village—Canada’s most popular aurora-viewing tour destination. To see the Northern Lights in British Columbia, you have to head far away from Vancouver. Northern BC is the best place to view them, in places such as Muncho Lake Provincial Park. 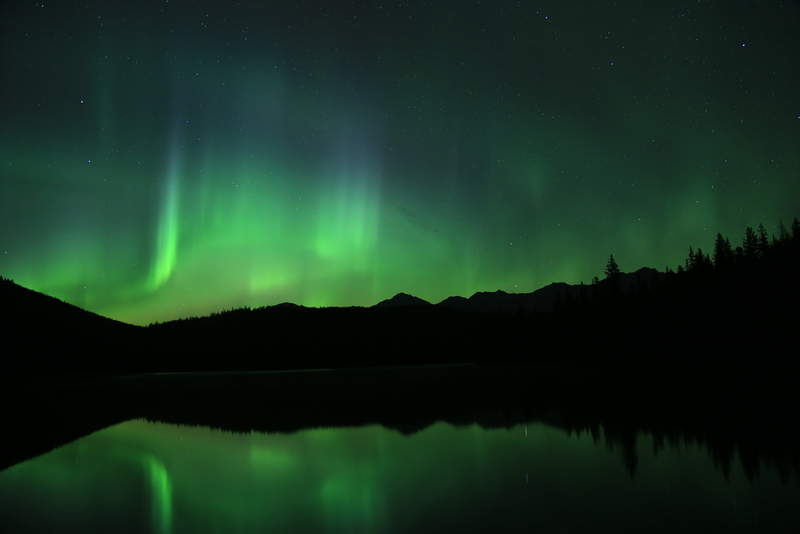 The isolated park, located close to the Yukon border and off the Alaska Highway, reportedly has aurora sightings year-round. Rest your head at Northern Rockies Lodge before hopefully seeing the Northern Lights reflected on Muncho Lake. The log cabin lodge has a restaurant, marina, sauna, and convenience store. Whitehorse, the Yukon’s capital, is one of the most accessible places to view the Northern Lights in Canada. Many aurora-chasing tours depart from Whitehorse daily during the winter months. Alternatively, you can stay just outside the city at Northern Lights Resort and Spa. The open area surrounding the resort and its cabins means guests get unobstructed Northern Lights views. Another popular viewing area is Lake Laberge on Whitehorse’s outskirts. A large and remote national park on Canada’s northernmost tip, Torngat Mountains National Park stretches 9,700 square kilometers (3,745 square miles). Inuits have lived, fished, and hunted in the area for centuries. The park is known for its dramatic landscape and being home to many polar bears. Its northerly and isolated location also means it’s a prime Northern Lights viewing spot. However, it’s only accessible via boat or charter plane, and every visitor must register and undergo orientation before entering. 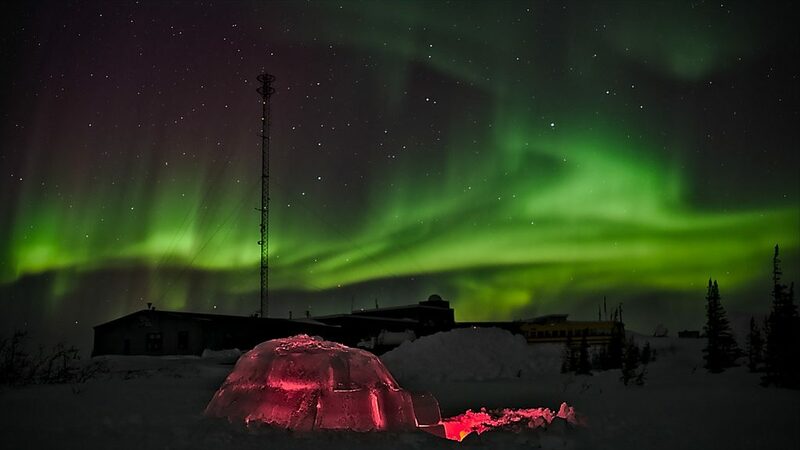 Churchill is not just known for being the world’s polar bear capital; rumor has it that the Northern Lights are visible there up to 300 nights a year, making it one of the world’s top three places to see this natural phenomenon. Thanks to its location under the auroral zone, the best time to view them in Churchill is January to March. Natural Habitat Adventures has a custom-built Aurora Pod®, which offers 360-degree views of the Northern Lights through its glass ceilings and walls. Guests can recline in heated comfort while enjoying the show. “Beautiful historic buildings in a context of wild nature make this one of the most restorative, off-the-grid retreats in North America.” Battle Harbour is a National Historic Site surrounded by fjords and icebergs, and it’s only open from June to September. There are nighttime tours so that visitors can take photos of the Northern Lights with the picturesque village in the foreground. The lack of light pollution and its isolated location make Battle Harbour a great Northern Lights viewing spot. The official Dawson City website says the Northern Lights make a “stirring debut during the early morning hours in late-August and can be seen until April.” The former gold rush town in the Yukon is close to Alaska’s border and is known for its colorful frontier buildings and fascinating history. There are several aurora tours from Dawson City, as well as extended trips from Whitehorse. The Aurora Inn does Northern Lights packages and is a popular accommodation option in town. At 11,000 square kilometers (4,247 square miles), Jasper National Park in the Canadian Rockies is actually one of the world’s largest accessible dark sky preserves (the other is Wood Buffalo National Park in northern Alberta). The lack of light pollution away from the township means that it’s possible to see the Northern Lights dancing over the mountains between October and May. 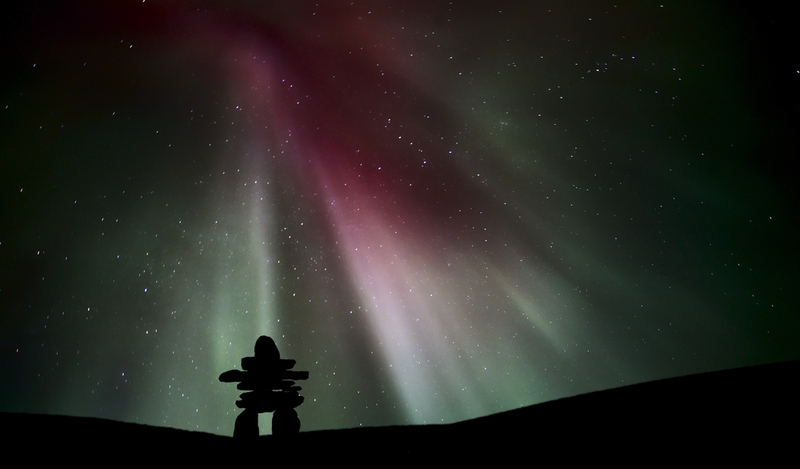 Located in Quebec’s Arctic region and not far from Torngat Mountains National Park, Nunavik Parks is another isolated and adventurous option for viewing the Aurora Borealis. Because it’s sparsely populated and under the auroral oval, it’s a perfect place to create your own Northern Lights adventure. Favorite activities include visiting Kuujjuaq, the largest village; viewing the lights from a boat on Hudson Bay; or even seeing them from outside your own igloo! The capital of Nunavut, Iqaluit is the territory’s political, business, and transportation hub. 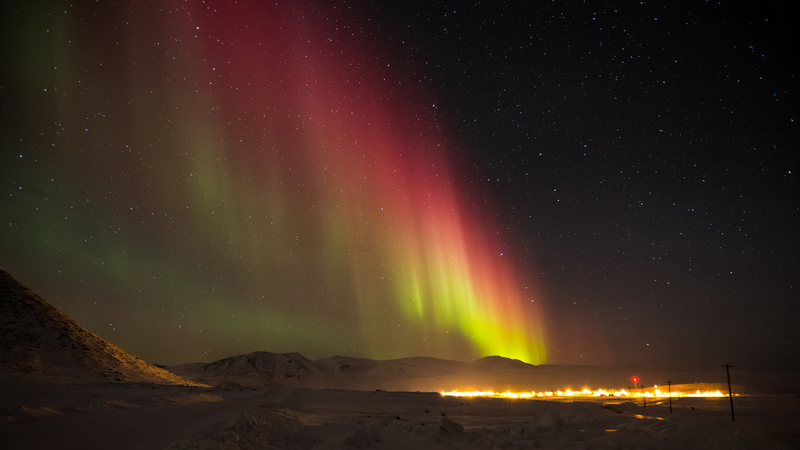 The Northern Lights are commonly seen around the city between October and April, as there is very little light pollution, an average of four hours of daylight per day, and minimal tourism infrastructure. However, winter in Arctic Iqaluit means average temperatures of between -10 to -32°C (14 to -25.6°F). Located on the 56th parallel and the southern edge of the auroral oval, people have seen the Northern Lights in Fort McMurray in Alberta at various times throughout the year. The best time to view them, though, is at midnight in winter, and a few minutes outside of the township. Between Fort McMurray and Edmonton is Athabasca County, which is another Northern Lights viewing area.